The winter of 1989 was rather warm, if I remember things right, but still came with a healthy dumping of snowfall to keep both amateur and professional removers quite busy. I was invited to go to a friend's house to just hangout after school one day. So, when the final bell rang and after our desks and stuff were organized, we started the long trek to their house, on foot. It was a few blocks into our walk that I noticed it, a partially melted snowbank in the backyard of a house with a reality sign on the fence. The exposed black roof called to me, much like those fabled sirens calling the ancient mariners to their doom. I remember entering the yard and looking in through the windows and walking around the car, with much of it still buried under the snow. Finding a pen and piece of paper, I took down the phone number and we continued on. It was a few days later when I had rediscovered the scribbled on paper, like a hidden prize at the bottom of my backpack. I dialed the number and a woman answered. 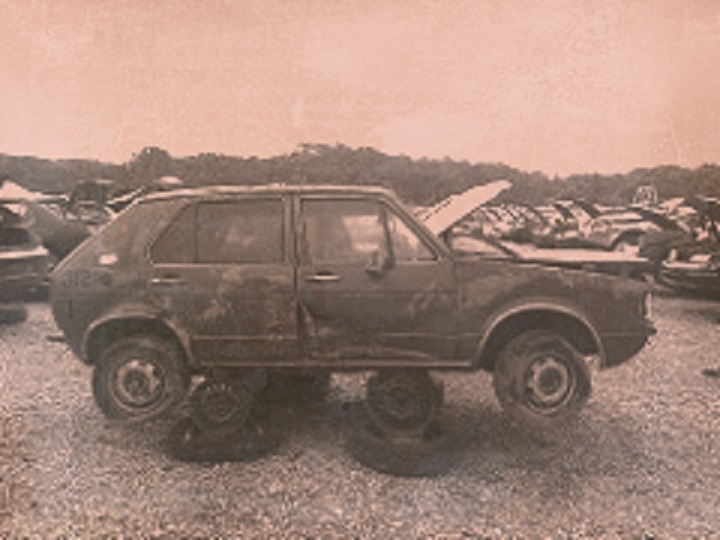 I explained who I was and that I was interested in the car that was half buried in that yard. She told me the car was her son's, who happen to be out of town at a university. I recall my heart sank a little. 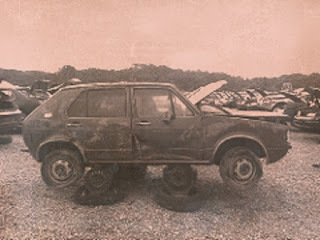 However, she stated she had a spare key, just in case a prospective buyer came along. After collecting the key in person, I had convinced my friend to help me rescue the car from it's snowy grave. We must have spent hours digging the light, then increasingly more compact snow from out and around the thing. However, once the doors were free and clear on both sides, I unlocked and opened the driver's door and got in. I took my time to unlock the passenger side for my hard working friend. 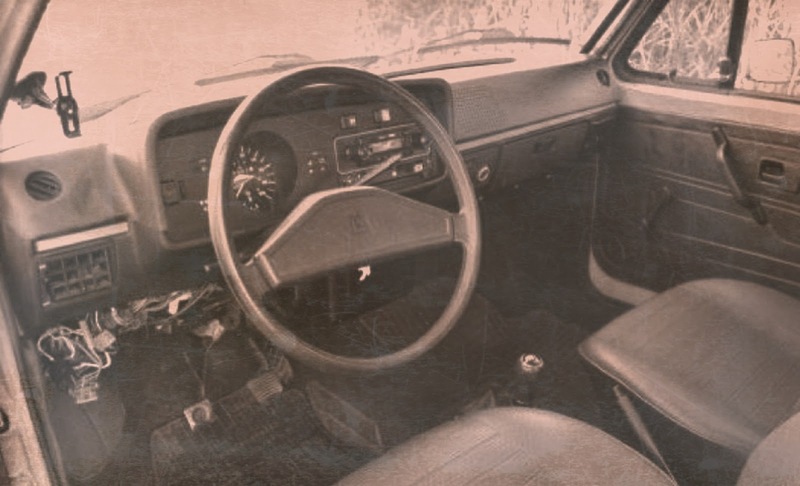 Once we both were somewhat more comfortable, I put the key into the ignition and gave a twist. Nothing much to report happened, other than the dash lights came on very faintly. 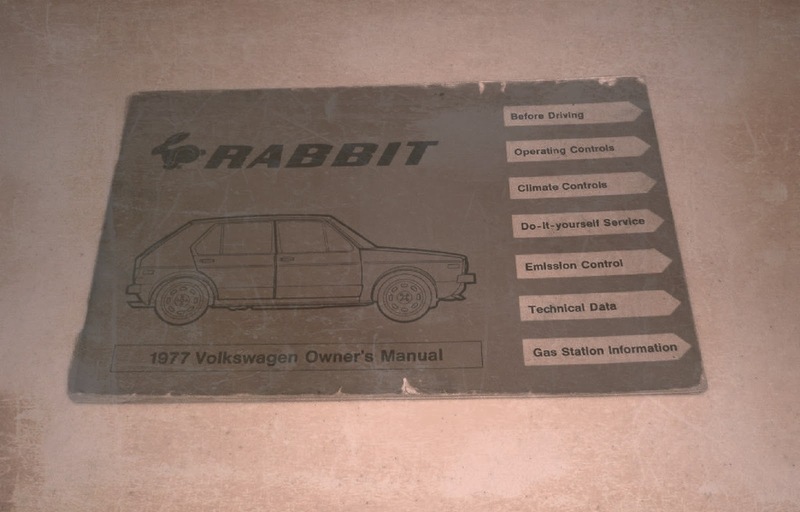 My friend rummaged around in the glovebox and produced the owner's manual. 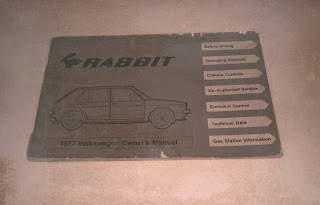 Knowing very little about vehicles, other than being an experienced passenger, I started to read a little. 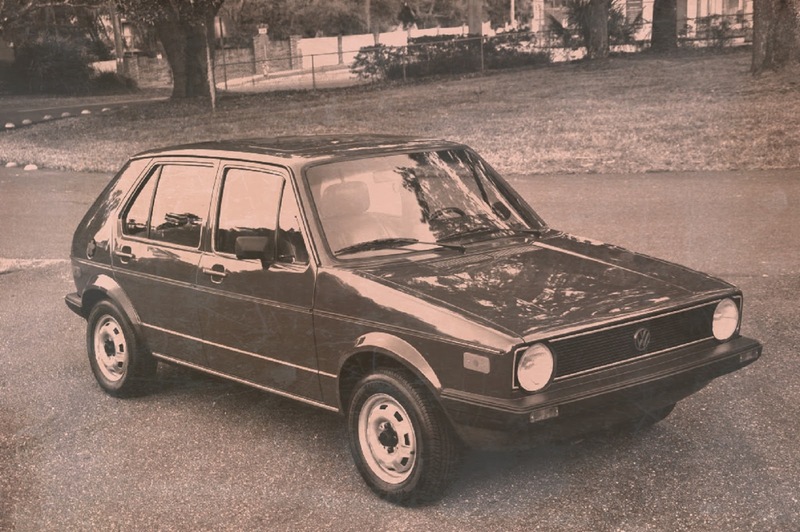 So, this was a 1977 Volkswagen Rabbit, huh? 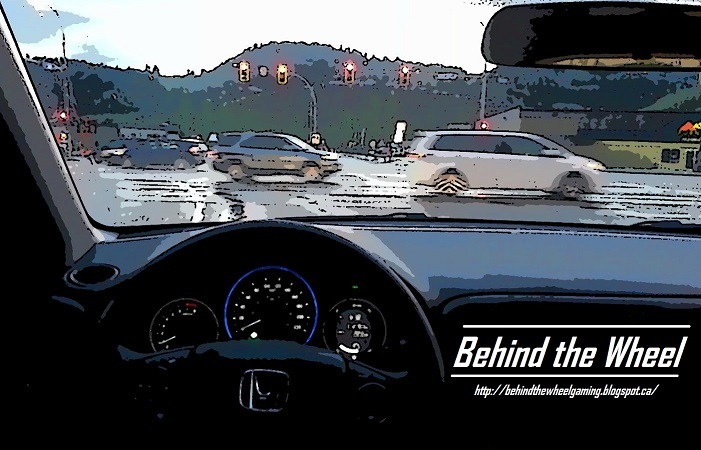 I read more about the manual transmission, some of the fluid capacities and such. Bored of that, I found the hood release and gave it a pull. We both got out, walked to the front and knelt down. I found the external hood release and popped open the hood. I remember standing, dumbfounded. 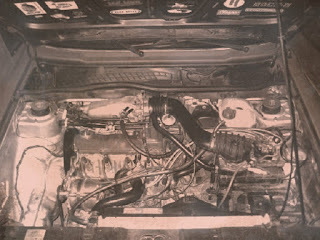 I knew nothing about cars really, except for what I read in magazines and engines were nothing more than a collection of hoses, wires and metal bits combined to make a vehicle move. However, I went through the motions of having a half clue to what I was doing to impress my friend. I think they bought it too! Over the course of that following week, my daily routine would consist of waking up, walking to this doctor's office to shovel the walks, go to school and get educated, visit with the snowbound car, go home and eat, do homework and sleep, to repeat it all again. Fun, huh? The next day, I modified my pattern and bypassed the visit with the car and walked straight to the real estate office to return the key. I remember saying something to the effect of "I am not interested anymore" and just walked away. About a week later, that same friend from before invited me back up to their house and as we walked by a familiar location, I noticed the car had been removed from it's winter storage. 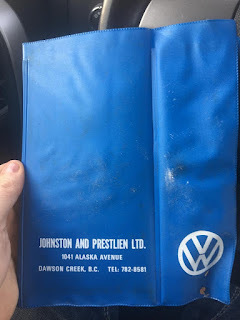 For the next few years, I would stop in on occasion at our local Volkswagen dealer, Johnson and Prestline (I think I got the spelling right, they have been shut down for many, many years now and no internet record that I could find). I help myself to the free brochures on nameplates like Golf, Jetta and Corrado. I noticed their little two bay shop area always seemed to be busy and kept a causal eye out for a familiar little black Rabbit. ....perhaps, this was it's merciful fate? Witch town was that again?